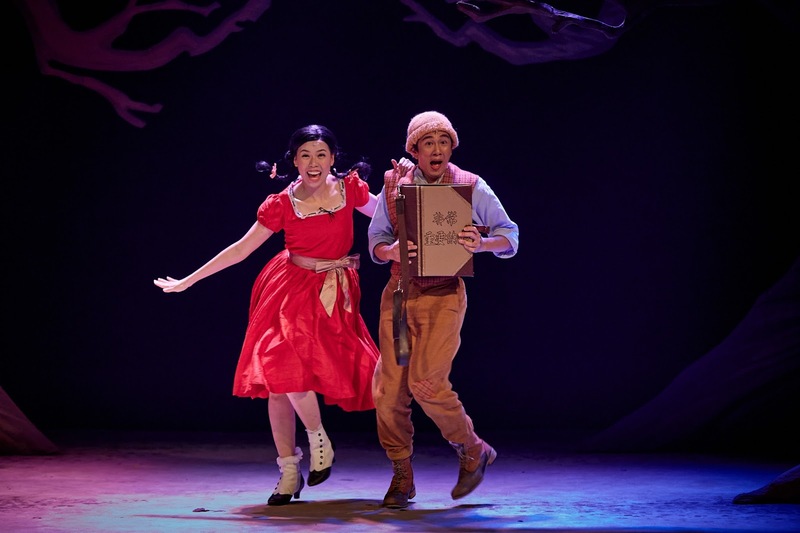 Throw away the Little Red Riding Hood story that you have known since you are a little girl or little boy, the SRT's The Little Company Chinese production Red Ridding Hood 小红帽 will make you fall in love with the heart warming story again, and perhaps makes you appreciate Mandarin more than. Set in current time; coz Grandma whips up the latest Mcdonald's local flavour burger, Little Red 小红 lives with her parents in the forest (maybe in Pulau Ubin lol) where they run a cute little bakery shop call 甜心蛋糕屋. Life is perfect, peaceful and loving till the dad did not return from his trip to the Grandma's to delivery some yummylicious cakes that he baked. Since the disappearance of the Dad, business was not doing well and the responsibility of visiting Grandma at the other side of the forest falls on Little Red. So dressed in his ang bao red hood, off she went to visit Grandma. Along the way she met up with the Big Good Wolf 大好狼 who of course have ill intentions and sent Little Red to the other direction so that he can reach Grandma's place first. 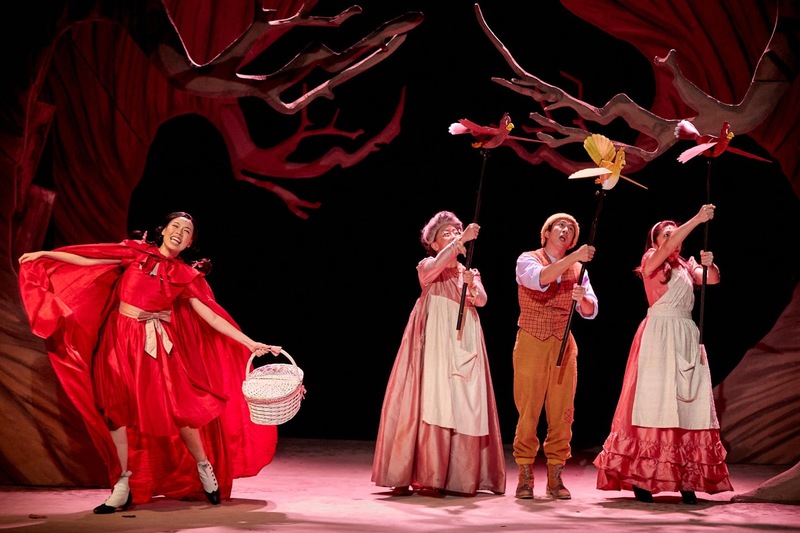 From here the plot took a turn from the age old fairy tale and you expect non stop laughter and fun. Besides the Wolf being or pretend to be goodie goodie Good Wolf, all the other characters were different from the original ones. Little Red is not shy or scared but she is confident, innocent with a bubbly personality. Woodcutter wanders around the forest without his ax but instead with a big Very Important Book. 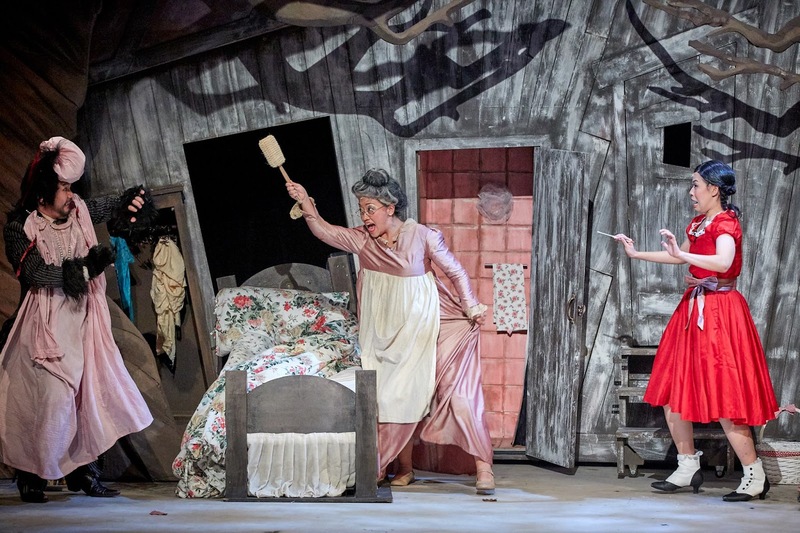 Grandma is not old, ill and bed riddance but witty, chatty and have bounce in her steps. Mum is not an unimportant character like the fairy tale but she is one brave Mum who enters the forest in search of Little Red but turned victim and transformed into something evil. 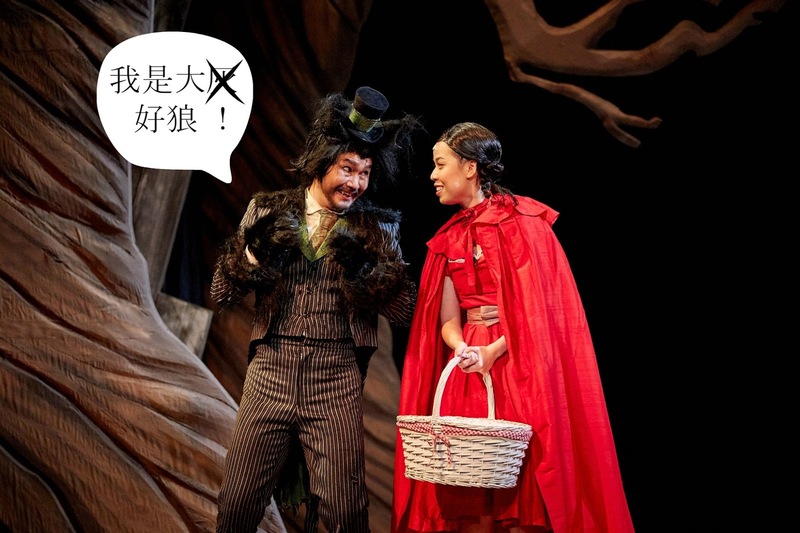 This is our 2nd children's play in Mandarin, the 1st one was so long ago and was a great disappointment to me (I couldn't even remember the production company nor the story, bad memories are best forgotten hahah! ), we had such enormous fun! I love how crisp and clear the performers said and sang their line, makes my heart swell to hear properly pronounced Mandarin. The original songs are catchy, the dialogue are humorous and easy to understand. If my half potato 11 year old son is laughing away throughout the hour you bet that younger kids will be able to enjoy the play too. 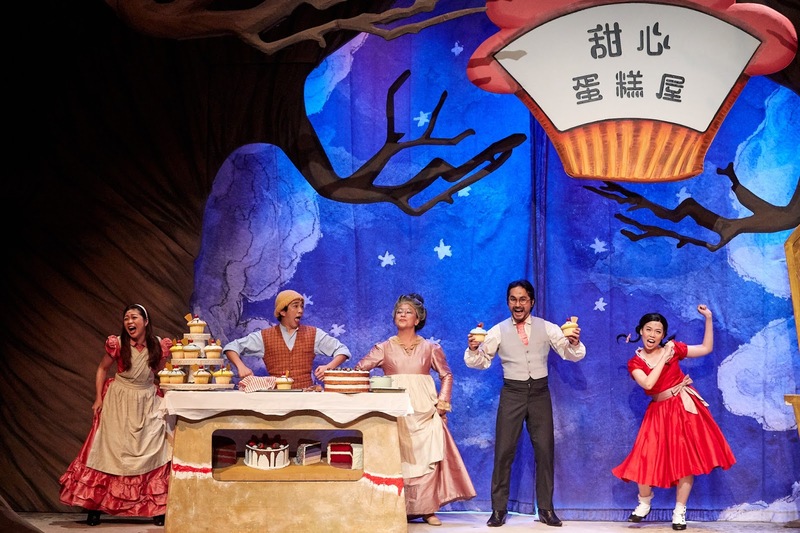 Another thing that caught my eye was the ingenious props that can be transformed easily from the cake house, to forest scene to Grandma's house effortlessly by the 5 performers on stage. SRT The Little Company never fails to surprise me with every production. Thumbs up to them! I look forward with eagerness to their next Mandarin production.